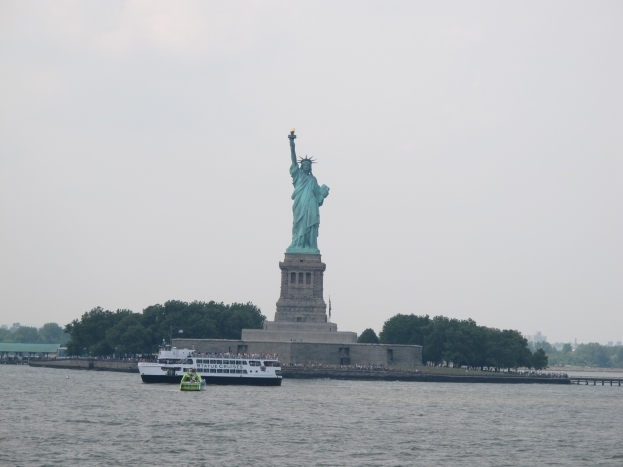 – Catch the free Statten Island ferry to see the Statue of Liberty up close. It leaves from the Financial District at the very south end of Manhattan Island every 30 minutes. It’s about $40 for the official cruise, but the free ferry goes really close to the statue, allowing for plenty of photo opps of the statue and of the city skyline. As Joel’s brother Aaron told us before we arrived, it’s amazing to think of all the migrants coming to America by boat and being greeted by this icon of the free world. There’s not much on Statten Island, so you’ll probably just want to catch the ferry straight back. – Catch a five minute subway ride to Bedford Ave, Brooklyn to see a different side of the city. Strolling down Bedford Avenue, you sense a more relaxed community, with countless eateries, bars and live music venues. 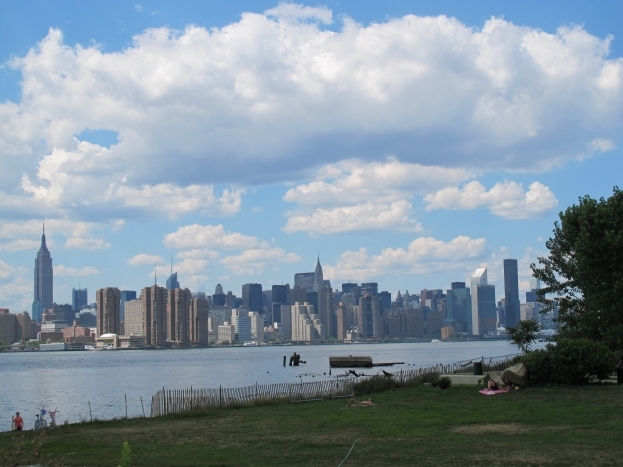 Walk down to East River State Park and see a great view of Manhattan and grab a bite to eat at one of the many organic cafes. – Walk the high line. 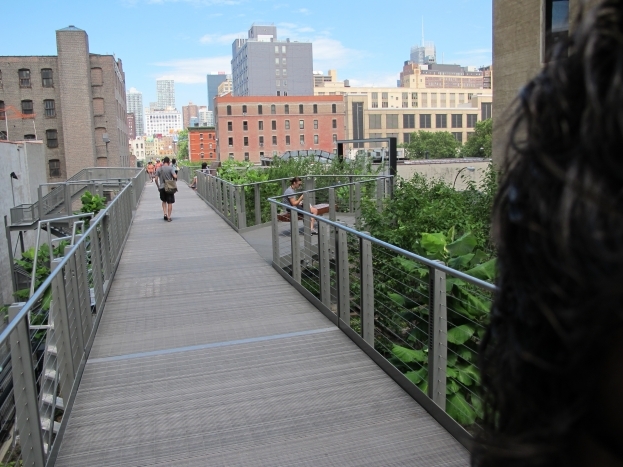 A disused railway track that runs through the lower west side has been converted into a beautiful garden and walkway. Not many tourists know about this, so you can imagine you’re a local as you walk along. 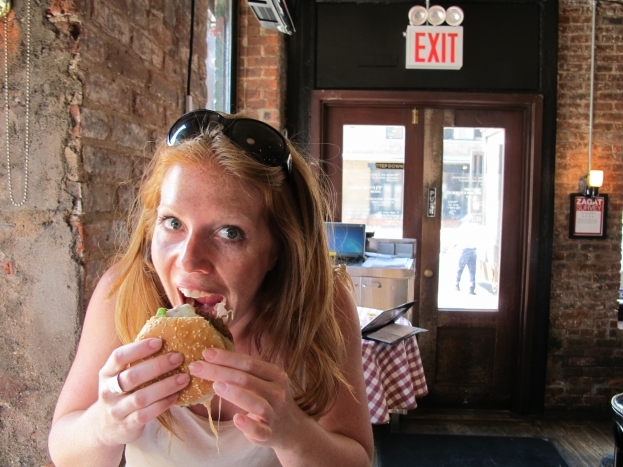 While there, stop for lunch or dinner in the iconic Meat-packing District. There’s plenty of classy white-table-clothed restaurants, but we had amazing burgers at Bill’s Burgers for about $8 each. – Planning to see a Broadway show? Buy your tickets from the Tkts booth in Times Square for half price shows on that day. – Eat at Wholefoods. This amazing, fresh-food supermarket can be found all over the place and has breakfast, lunch and dinner options that are cheap and healthy. Most Wholefoods stores have a seating area for you to enjoy the fare and pretend you’re eating at a fancy New York restaurant.